Wiener Kammeroper is an opera theatre and opera company founded by conductor Hans Gabor. As early as 1948 he initiated the "Vienna Opera Studio" - a company without a theatre of its own. 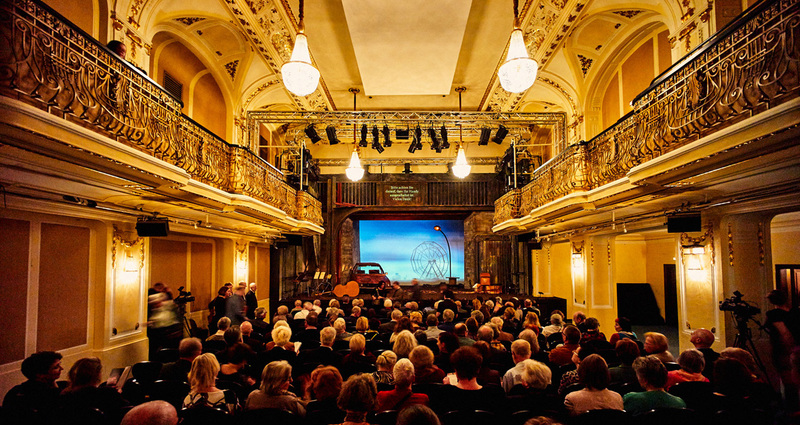 The new name of the company, "Wiener Kammeroper" (Vienna Chamber Opera), reminiscent of chamber music and society plays in an intimate setting, was first used officially in 1953. Initially the company played in the suburbs of Vienna, specially for the "Arbeiterkammer" in Vienna, at Mozart Hall of Vienna's "Konzerthaus" concert hall for young audiences under the patronage of the "Theater der Jugend" and during the summer months at the rococo Schönbrunn Palace Theatre. Since the early years, works by contemporary composers, such as Boris Blacher's The Flood (1956), have been a mainstay of the repertory along with opera buffaand classic Viennese operetta, and many a rarity was discovered, e.g. Alessandro Scarlatti's Triumph of Honour (1956). The dream of a permanent home came true. 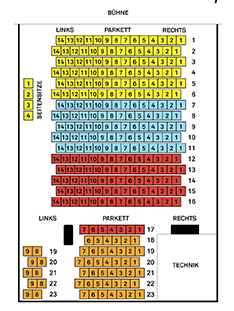 The first one-year subsidy to Wiener Kammeroper granted by the Ministry of Education and the City of Vienna was the pre-requisite for funding its own theatre. The right place was found soon: located in the heart of the city, at Fleischmarkt 24, a former dance hall, which had also been used for theatre performances earlier, was adapted to fulfil the requirements of an operatic stage. The new theatre was inaugurated with a performance of the one-act operas The Marriage by Martinů, The Gambler (Il marito giocatore) by Orlandini and Monteverdi's Ariadne's Lament as adapted by Carl Orff. Till today, numerous original performances and Austrian premières have remained a trademark of the Wiener Kammeroper repertory. One among many artistic highlights of the past was George Tabori's legendary 1986 production of Pagliacci by Leoncavallo; Wiener Kammeroper was invited to present the production at the "Berlin Theatertreffen" festival a year later. In the early 1980s, Hans Gabor retired from conducting, exclusively acting as the artistic director and manager of his theatre in addition to running the "International Belvedere Singing Competition", which he founded in 1982. Today, the competition is the largest "singers' exchange" in the world, a veritable "Wall Street of Voices". The series "Studio K" (1983) seeks to offer a platform to contemporary composers. Chamber operas by Tom Johnson, Peter Maxwell Davies, Luciano Chailly, Philip Glass and Hans Werner Henze saw their premieres in Vienna. Again, George Tabori contributed a production which met with critical acclaim abroad. To address a young audience, classics such as La Bohème or Carmen were translated into the musical language of rock music. In the summer of 1992 Wiener Kammeroper began producing open-air performances of Mozart operas at the Roman Ruin in the palace gardens of Schönbrunn with the title "Mozart in Schönbrunn". However, in 1999, conservationists found that the monument was in jeopardy, and performances on the unique open-air stage had to be discontinued. In 1994 Hans Gabor died unexpectedly and Rudolf Berger continued the successful programming. During the 1999/2000 opera season Isabella Gabor and Holger Bleck took over the management of the Kammeroper. In keeping with the Kammeroper's tradition, the twin focus continued to be promotion of the young generation of singers with the renamed "International Hans Gabor Belvedere Singing Competition" and the opera productions at the Kammeroper's location on Fleischmarkt. "Art in the sense of telling stories, musical theatre that is current, touching, makes us happy, upsets us, makes us want to discuss things, the advancement of young musicians, and last but not least an attentive audience. This, and much more, makes Wiener Kammeroper what it is – music theatre with a unique and unmistakable concept in the artistic environment of Austria and Vienna"
Wiener Kammeroper stands for programming which rests on four pillars – chamber musical, baroque opera, contemporary musical theater and opera buffa. From the autumn of 2012, the management of the company and theatre was transferred to the Theater an der Wien whose director of artistic administration, Sebastian F. Schwarz, has taken over the artistic direction of Wiener Kammeroper. The young ensemble of Theater an der Wien is chosen for 2 seasons to perform major roles at Kammeroper while appearing in smaller to medium sized roles at the mother house. Currently Schwarz presents up to 5 opera productions with each between 5 (for modern repertoire) and 12 (well known titles in chamber versions) performances. Since the change in management, attendance and ticket sales have risen considerably and are currently at a level of about 98%.